Teusday, 03.20.01 It's funny. The cable man came over to my house yesterday. Haha. Yeah, he came in, and tried to replace the cable modem. hahaha... wait, here comes the funniest part... it didn't work, and it may be a week before I have a chance of getting the internet back. Hahaha! Funny, huh? HAHAHA! Not having the internet has driven me insane. you saw my news post on Sunday. Was that insane or what? Ha, ha. Anyway, It's like I said, a webcartoonist without an internet connection is like a runner without a leg. Wait, I never said that. Ha, Ha. Anyway, I have completed all of the RPG World comic strips through Wednesday, March 28th. (If I don't say so myself, this storyline's a DOOZY!) I am uploading them, and putting my trust into the hands of the Keenspace Auto-Updater. Hopefully, you RPG-fans will get your strips without fail until next Wednesday, because I can't afford to sit at my best friend David's house, eating his sourdough pretzels and drinking his orange Slice every other day. I keep coming over, overstaying my welcome to surf the net on his computer. Hope he doesn't find anything indecent in his bookmarks. Ha, ha. So everyone, thank you for bearing with me. 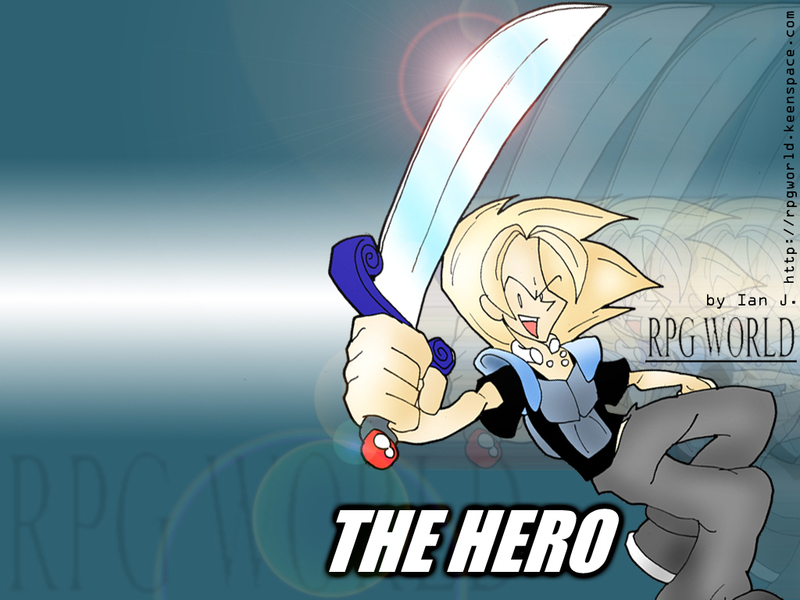 It has always been my devotion to keep RPG World up, on time and here for the fans that have given me so much support. Since I don't have my email, I'd like to personally thank everyone who sent me email of support before I could get back to them. Aaron, I never got to read your strip, but if it's as geeky as you say, It's probably good. Andrew, The Dragobo doesn't have a name for now. I have an idea for a contest where people could try to name him. stay tuned. Arius, Never got to look at your strip either, but when I get the net back, I'll look at it right after Aaron's above. Christine, you go onto that list too. Thanks for the kind words. Zero Silverite, Snootchy Bootchies to you! a modern knight, I hope it loads faster now. Cmdr Mark, http://rsnet.telefragged.com has some nice manga for you, If you look. James, I have no idea. Danny Swift! Thanks for writing again. ChristianC, I don't do requests anymore. Sorrie. Daniel J. Yep, as you probably know, Nick is A-OK.
Sol, Eikre button? Sure, why not. MrStump, thank you so much. How to make a successful webcomic- Put out 110% effort and the highest quality concept and work that you can. There's not much else. Zelig, have a plain old THANK YOU! Graveyard Greg! Sorry, we will talk later! Sobek, thank you a lot. Suzannes, FF7 FF9, Chrono Trigger will probably be the most notable. AfroConnect, STOP MAILING ME! I MEAN.... DAMN! Wow. I really am insane. Ha, Ha.